The Gwich’in people, who have depended on the resources of the Arctic National Wildlife Refuge since time immemorial, are united in their opposition to oil and gas development in the coastal plain. Their way of life is inextricably tied to the caribou of this place they call “Iizhik Gwats’an Gwandaii Goodlit” or “the sacred place where life begins”. Protecting the Porcupine Caribou Herd is a matter of human rights and food security. Many beings’ ways of life are at stake here. Since it was first federally protected by President Eisenhower in 1960, the Arctic Refuge has been one of our nation’s most iconic public lands. In addition to the 200,000-count Porcupine Caribou Herd, it is home to musk oxen, wolves, polar bears, and nearly 200 species of migratory birds that eat, molt, and nest in the Refuge en route to and from six continents and all 50 states. For almost 60 years, the American people and Congress have continually reinforced the fact that the Arctic Refuge is worthy of protection. It is no place for drilling. It is our moral obligation to protect this landscape for future generations to experience, enjoy, and rely upon. The impacts of drilling in the Coastal Plain would be irreversible; this untrammeled landscape containing intact ecosystems, millennia of human tradition, and a legacy of international and inter-cultural support for continued protection, will be irrevocably transformed in ways we cannot predict. Conducting an environmental impact statement should be a multi-year, multi-part process that offers the public ample opportunity to provide input. Instead, BLM is rushing this process and trying to accomplish it within only a single year – abbreviating comment periods and rushing analyses. Scoping for the environmental impact statement ended in June with over 680,000 people speaking up to voice their concerns over drilling in the Refuge. The draft EIS published 12/28/18 should reflect the concerns brought up during scoping. We have a short window to comment on the impacts of their plan. The comment period currently extends from 12/28/2018 through 2/11/2019, a paltry 45 days. 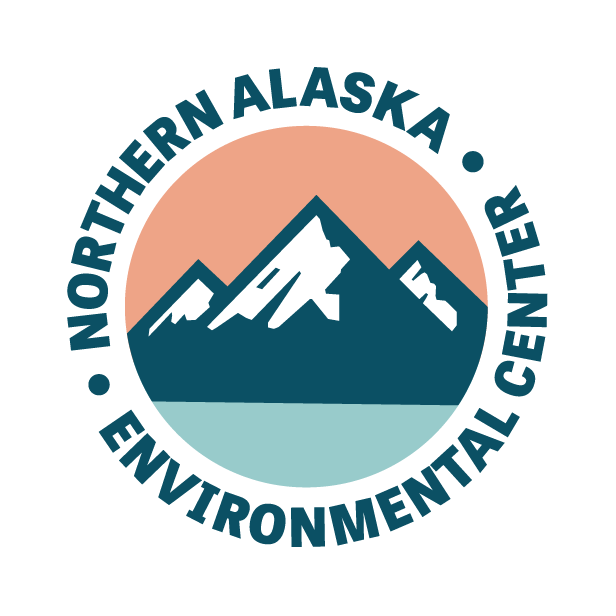 Public meetings will be held in Anchorage, Arctic Village, Fairbanks, Kaktovik, Fort Yukon, Venetie, Utqiaġvik and Washington, D.C. at times and locations to be announced. BLM considers 4 alternatives in this draft. The no-action alternative (alternative A) considers the Coastal Plain in its current state. Alternatives B and C are the most expansive, offering the entire Coastal Plain for lease, under various lease provisions like no-surface occupancy or timing limitations. Alternative D, which would offer more than 1 million acres for lease (roughly 66% of the Coastal Plain) with two sub alternatives (D1 and D2) of lease restrictions that are presented as a way to address caribou use during the summer. BLM states in the EIS that it will not select the no-action alternative due to the requirements of the Tax Act to hold lease sales on the Coastal Plain. This was expected, but it is noteworthy that all the action alternatives offer much more acreage than required by the Tax Act (400,000 for each lease sale). The draft EIS is egregiously deficient in numerous ways. The rushed process fails to allow for adequate review. It fails to adequately analyze and account for impacts to human rights and subsistence, water quality, caribou and polar bears and their habitat, oil spills, and climate change. The following are some key concerns that focus on the Draft EIS and what BLM needs to address before publishing the final EIS. The review of scoping and drafting of the EIS was completed in just 5 months. As BLM continues to rush ahead with the public process, five U.S. Senators have written to the Department of Interior to question the rapidity and request an extension of public comment. Congress authorized four years before the first mandated lease sale, yet BLM and the Dept. of Interior are rushing to hold lease sales within a year. This timeline calls into question whether the Trump Administration is conducting the EIS process in good faith, with adequate attention to public input and science, and in compliance with the law. The abbreviated timeline and analysis for the draft Environmental Impact Statement (DEIS) appears to be the consequence, in part, of Trump Administration policies and acting Secretary Bernhardt’s guidance that arbitrarily required the study contractor to confine the analysis to less than 150 pages and less than one year. While they remain determined to adhere to the 1-year limit, they have far exceeded the page limit. The main document is approximately 300 pages (which is technically allowed under the order for “unusually complex projects”), but there are a number of substantive appendices and other documents incorporated by reference that will need to be reviewed and thoroughly analyzed. This cross-referencing and incorporating by reference is burdensome and the 45 day public comment period is inadequate to review this complex set of documents. Typically a project of this size would proceed with no less than 90 days of public comment and the Senators are asking for 120. Work on scheduling hearings has reportedly continued at the BLM despite the government shutdown. Rep. Grijalva wrote to the Dept. of Interior to express concerns and request accountability. This is happening at a time when key officials, such as Nancy Hayes, who is the project manager and contact person for BLM have email response messages that say they are “not authorized to work during this time.” The public has no way to get ahold of BLM officials by phone, email or in person, to have questions about the DEIS answered, meeting times and formats clarified, or to request hard copies of the DEIS or translated versions. At the very least, the public comment period should be extended to account for these several weeks of inability to contact officials. The Gwich’in people of Alaska and Canada are culturally and spiritually connected to the Porcupine Caribou Herd, which in turn relies on the Coastal Plain for calving and post-calving habitat. The Gwich’in consider the coastal plain as sacred, and the place where life begins. It is vital to their human rights and food security. Despite acknowledging that oil and gas can have impacts on caribou, BLM concludes that there will not be an impact on the subsistence resources for the Gwich’in and that the subsistence needs of the Gwich’in do not qualify for an 810 hearing under ANILCA (Alaska National Interest Lands Conservation Act) which is required for development that will substantially affect subsistence. Despite the fact that a significant percent of Gwich’in subsistence comes from the Porcupine Caribou Herd, which the BLM’s own analysis finds leasing will affect, they then find that Gwich’in subsistence use will not be affected. This ignores the traditional knowledge and human rights of the Gwich’in. One of the specific purposes of the Arctic National Wildlife Refuge as established in ANILCA is to ensure “water quality and necessary water quantity within the refuge” to conserve fish, wildlife and habitats. This DEIS must demonstrate adherence and that the lease sale will not negatively impact water quality and quantity. Water on the Coastal Plain of the Arctic Refuge is particularly scarce. There are few open lakes and rivers compared to the Western Arctic and especially in winter when the surface is frozen there is very little free water available. The BLM does no new analysis of how much water is actually available on the Coastal Plain and therefore does an insufficient job of analyzing impact to that water quantity. The DEIS estimates that drilling each well requires 420,000 to 1.9 million gallons of water. All of the alternatives have at least 17 ‘satellite pads’ and 1 anchor pad. (Volume 2, Table B-5). And the DEIS estimates that 30 wells will be drilled from the average pad (Volume 2, B-17). So at least 540 wells would be drilled, requiring a total of between 227 million and 1 billion gallons of water just to drill the wells. PLUS, every mile of ice road requires 1 million gallons of water (Vol. 2, B-13), each ice pad requires 500,000 gallons of water (B-12), and daily production of 50,000 barrels of oil would require 2 million gallons of water per day. All of the action alternatives would affect large areas of polar bear critical habitat. There are currently just 900 Southern Beaufort Sea polar bears, and the population has declined approximately 50% in the last 30 years (Vol 1, p. 3-125). The use of land in the Coastal Plain for denning and as summer refuge for polar bears in the region has and will continue to increase with the loss of sea ice, pushing more and more polar bears to require the Refuge for survival. Polar bear critical denning habitat constitutes 77% of the program area (Vol 1, p. 3-133) and maternal dens are disproportionately high in high hydrocarbon potential zones (Vol 1, p. 3-134). The DEIS acknowledges that “the potential for injury or mortality could be high when developing new oil and gas projects in polar bear habitat.” (Vol 1, p. 3-142) Nevertheless, there is no estimate of the number of bears that could be killed, injured or displaced by the leasing process or seismic testing. The Coastal Plain provides vital calving and post-calving habitat for the Porcupine Caribou Herd (PCH). The Coastal Plain offers nutrient rich forage, protection from predators, and relief from the relentless insects of the Arctic. The PCH use all of the Coastal Plain for various habitat needs during its annual migration. The BLM acknowledges that oil and gas activities will likely disturb and displace caribou, especially sensitive cows and calves. Map 3-21 shows PCH calving and post-calving covering most of the Coastal Plain (Vol. 2, 3-21). BLM estimates that only 49% of the Coastal Plain is sensitive calving grounds for the PCH, but this vastly undercounts the value of the coastal plain to the caribou, who use essentially all of the Coastal Plain during calving and post-calving when they are sensitive to disturbance. The agency fails to adequately address these impacts and to consider the full range of areas that are important to caribou. Anything that moves the herd away from the Coastal Plain has been shown to be detrimental to calf survival (Vol 1, p. 3-114) and in fact would likely halt population growth (Vol 1, p. 3-115). Additionally, other potential calving areas to the east have a higher density of predators and less suitable vegetation. The DEIS offers insufficient mitigation of the impacts to PCH. Even the most restrictive alternative only halts “major construction activities”–but not drilling–for a single month of the year when caribou are calving (Vol 1, 2-13). The Tax Cuts and Jobs Act of 2017 stipulated a 2000 acre surface development limit on the Coastal Plain. The DEIS interprets that ice roads and pads, elevated pipelines, and gravel mines do NOT count as surface disturbance and, therefore, are not considered in the 2,000 acre limit of surface acres outlined in the PL 115-97 (Vol. 2, Appendix B-9). BLM states that “inclusion of such facilities would make Congress’s clear purpose – establishment of an oil and gas program on the Coastal Plain – impracticable” suggesting that they conducted their analysis in order to draw the desired conclusion (Vol. 2, Appendix B-9). BLM is also only counting 2000 acres “at any given time” (Vol 1, p. 3-221). This means that any land that is “reclaimed” can be deducted from the 2000 acre cap and credited toward more development. This rolling cap interpretation would allow for the entirety of the coastal plain to see the impacts of development over time. The risks of oil spills are dramatically understated in the DEIS. According to Center for American Progress, oil fields on the North Slope have averaged more than 400 oil spills per year, and across Alaska, there were 16 major spills from 2002 to 2016 that released at least 10,000 gallons of oil into the environment. Five of those spills released more than 100,000 gallons of oil. Read more here. This is a very misleading set of numbers and is calculated only from the increase from oil demand that the analysis predicts will result from developing the Refuge. It does not account for burning all of the oil they project will be extracted. That number is much larger. CAP estimates that the equivalent to the annual emissions of 16 coal fired power plants would be emitted – roughly 62 million tons. This document completely fails to assess how expanding oil and gas development in the Refuge will further exacerbate climate adaptation and mitigation challenges in an Arctic that is warming at twice the rate of the rest of the country. The DEIS minimizes impacts to birds – millions of which, from every state and continent including off the coast of Antarctica, come to the Refuge to breed, forage, and molt, allowing loopholes for develop to continue despite impact to birds. There is no analysis of expected revenues, despite the projected $2 billion in revenue ($1 billion to the State of Alaska and $1 billion to the federal government) being a major factor in allowing attachment of this rider to the Tax Act. Concerned with wilderness, and recreation values, two of the primary purposes for the establishment of the Refuge, Dr. Stuart Smith conducted a GIS analysis of the visual impact of development and finds that, “the visual impacts of coastal plain development would be significant and wide-ranging.” For example, “oil and gas development activity across a vast majority (88%) of the 1002 Area would potentially be visible to people rafting six of its major rivers, even when structures as low as 15m are in place.“ Further, from high points within the federally designated Wilderness portion of the refuge, over 99% of the coastal plain and any development thereon will be visible.